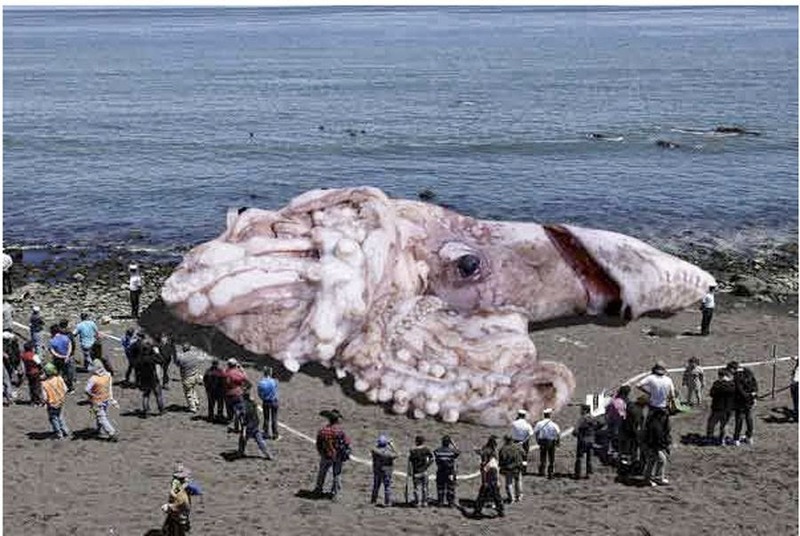 There have been thousands of photos showing monster size squids getting stranded or washed on beaches all over the world. The most recent one is the 160-foot-long giant squid which made a stir on social media sites. The monster squid apparently ended up in the beaches of Santa Monica in California. The photo even came with a satirical commentary, saying that the animal was the result of radiation. However, this Godzilla-sized squid is not real. Thanks to how the internet works, the photo became viral in just a short amount of time. The certainty behind the photo was revealed by the popular rumor-research site snopes.com. Staff from the website actually went to the said beach where the giant squid was seen and found no truth about it. 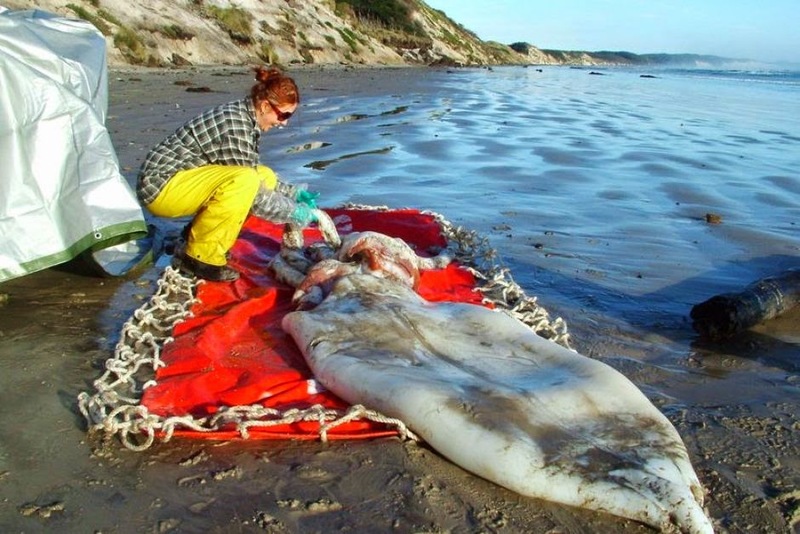 David Emery, a writer from About.com, also confirmed that the photo was actually an edited version of a 30-foot-long giant squid which was found in the shores of Spain back in 2013. So how big do these giant squids actually get? The biggest that was ever recorded was around 55 feet long and was found somewhere in New Zealand. Giant squids can grow big enough to fight sperm whales. Another detail that could cause error on the measurements of these giants is the fact that their tentacles are quite stretchy. 55 feet is still a long way to go from the 160-foot length of the hoax photo. Researchers say that if giant squids were able to grow to more than a hundred feet, they would have seen ones that are close to that size.